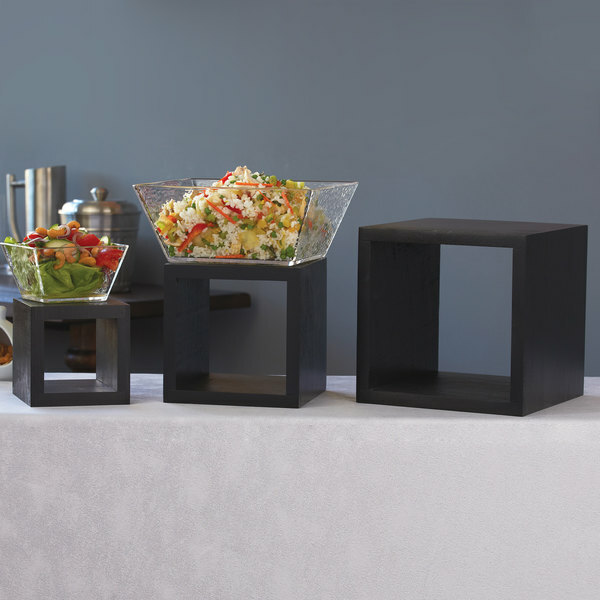 Design dazzling, multi-level food displays at your buffet, restaurant, or catered events with this beautiful black wood American Metalcraft RSB1 three piece square riser set. The American Metalcraft RSB1 three piece black wood riser set is perfect for drawing customer attention to hors d'oeurves, sides, or even featured dishes and daily specials. The set includes 16 slip resistant sleeves to help prevent the risers from sliding on tabletops. I use these risers to create different levels of plate displays for trade show booths. They are well-built and, in the application I use them for, create visual interest by varying the display plate heights. 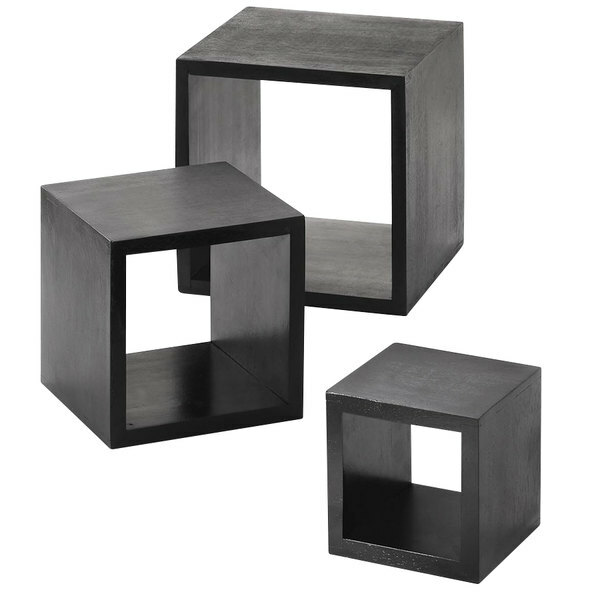 Presentation is everything especially on buffets and these black wooden blocks are sure to give the height you need to display your food in an attractive manner! !